Nvidia has formally launched the quad-core ARM system-on-a-chip formerly known as 'Kal-El' and now unsurprisingly named 'Tegra 3', a processor originally scheduled to launch this past summer. 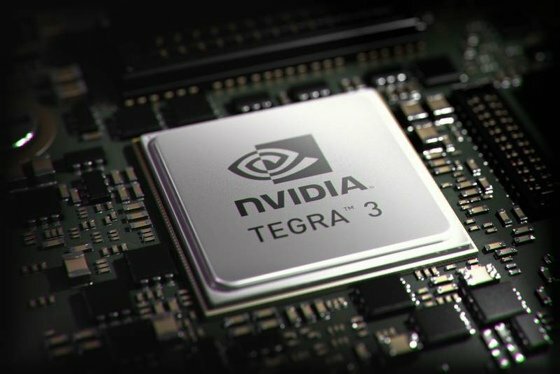 The company pledged the part will offer three times the graphics performance of the Tegra 2 despite consuming just over a third of the power. The secret is a separate fifth core which handles the work when the number-crunching abilities of the four main cores are not required. So for probably 95 per cent of a tablet's operational life, it's this fifth core that will be running, the others being powered off. The four-core cluster kicks in when the device is handling what Nvidia called "high-performance tasks": web browsing and gaming, primarily. The extra core is a "patent pending" trick Nvidia calls "Variable Symmetric Multiprocessing (vSMP)". And you might well ask why Nvidia hasn't simply used one of the four main cores for the kind of tasks the fifth core will run. Presumably that's because it hasn't been able to implement core gating, allowing Tegra 3 to switch off three cores without hindering the fourth. The fifth core can run at up to 1.4GHz, the four-core cluster at up to 1.3GHz. The chip supports up to 2GB of 1066MHz DDR 3 memory. Still, Tegra 3 should impress gamers, and it's telling that Nvidia trotted out dozens of mobile gaming companies to praise its product. Nvidia promised 15 Tegra 3 games are currently in development. Together with Nvidia, Asus confirmed the follow-up to its impressive Eee Pad Transformer tablet - the Transformer Prime - will be based on the Tegra 3, which has now gone into production.